Golf is a relaxing sport, but it puts big demands on your back. 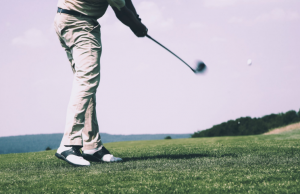 An injury or back condition can do more than throw off your swing; the pain can keep you off the golf course altogether. No program can be individualized without proper assessments of your current health and golf performance. The Titleist Performance Institute movement assessment looks at your stability and mobility as you swing. This assessment helps your trained physical therapist identify mechanical issues related to a current injury or that may lead to an injury in the future. This additional analysis helps your physical therapist look at your entire body as you swing. They can identify technique errors that not only put you at risk for a back problem, but impact your golf performance. Your physical therapist will work to help you coordinate your entire body for a more powerful and effective swing. The Body-Swing Connection recognizes the connection between body function and swing efficiency. Physical therapists certified in Body-Swing Connection by the Titleist Performance Institute understand how to identify problems in your body that affect your swing and vice-versa. They know what exercises and drills are necessary to improve your swing and change your body mechanics. Once you have completed these and any other assessments, your physical therapist should use that information to create a custom exercise program. This program will address any current back pain or injuries, help you build strength, and improve flexibility. A healthier, stronger back should help you avoid injuries in the future. By using the Body-Swing Connection method, your exercise program will also improve your swing by focusing on strength, technique, and body coordination. You will get the most out of your exercise program by regularly meeting with your physical therapist, completing your at-home exercises as assigned, and not pushing yourself too hard, too fast. Bon Secours In Motion physical therapists are trained and certified by the Titleist Performance Institute. They offer personalized golf rehabilitation at 19 locations across Hampton Roads. Learn more about the program and find a location near you.